Great location, easy access, beautiful views, clean + low prices. Enjoy the Falls, Park or Minigolf. Ride the train, pet some animals, feed the fish. Walk-run-hike-bike the 13 mi of Black Creek Trails. We stayed in pull thru site P1 with our 36ft 5th wheel. Site is mostly level but there is small incline that we ended up having to park our truck on. No issues but for a larger class A could be a problem. The staff is very friendly and helpful. On site security with gated entrance. We traveled with 2 boys who loved the pool and the wildlife that was in the area. The waterfalls are a nice hike and the petting zoo and train are right next door. (Can't speak for those). Make sure to call and get directions off the interstate as they will direct you the easiest most direct was to get there. Great stay and will be back. Older park but still nice and clean. Some of the spots are tight and water access will require hose longer than 25ft in some of the spots. WIFI did not work at all the entire weekend we stayed there. Can't beat the price for full hookups and the waterfall is walking distance from the campsite. Great area, the falls are very close a quick walk. Bathrooms in good shape, would stay here again for sure! We are in the process of a month long trip around the US. Stayed one night at this facility and had to spend a second. First time on our trip that we spent an extra night. (two weeks in) Just a very peaceful place. The only draw back is the laundry facilities. Don't even try and you will really enjoy yourself. Take the walk around the small river and falls it's worth it. Look very carefully at some of the few bad reviews and decide for yourself. We were passing through and intended to overnight here, but once we saw the campground, the waterfall and the park, we stayed 3 nights. Lots of trees, beautiful natural surroundings and right in town. 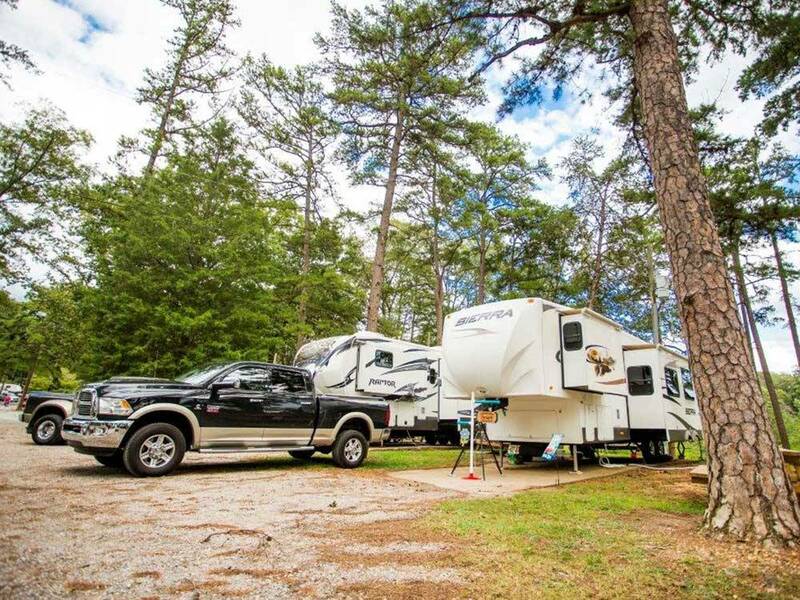 Very friendly staff, clean bathrooms, and great price value compared to all the campgrounds we have stayed in during this one month trip. We paid $21+ for full hookup with our Good Sam discount. Most of the sites are back-in and some are a bit crowded together, but our pad was perfectly level. The signage could be improved and some of the water outlets are at a distance that may require a bit more than the standard 25' hose. We don't have pets, but there is plenty of room to walk pets if you have them. 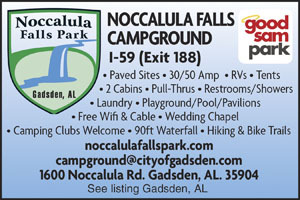 The staff could use more training on information about the adjacent Naccolula Falls park. The falls are beautiful and the park attractions have something for all ages. This is a hidden gem.